Predator Unmanned Aerial Vehicle (UAV) flies on a simulated Navy aerial reconnaissance flight near the aircraft carrier USS Carl Vinson (CVN 70) off the coast of southern California on Dec. 5, 1995. The Predator provides near, real-time infrared and color video to intelligence analysts and controllers on the ground and the ship. This is the Predator’s first maritime mission with a carrier battle group. The UAV was launched from San Nicholas Island off the coast of southern California. DoD photo by Petty Officer 3rd Class Jeffrey S. Viano, U.S. Navy. The Coast Guard on March 26 released a draft solicitation for long range/ultra-long endurance (LR/U-LE) unmanned aircraft system (UAS) technology demonstration and flight services requirements. Industry is invited to submit questions, comments and feedback on draft items including the statement of work, proposal requirements and evaluation methodology. The draft solicitation is available here. The draft solicitation is part of congressionally directed market research to examine the feasibility, costs and benefits of using land-based LR/U-LE UAS to conduct intelligence, surveillance and reconnaissance missions. Responses are due by April 9 at 5 p.m. EST. The formal solicitation for the contract is planned for release later this spring. 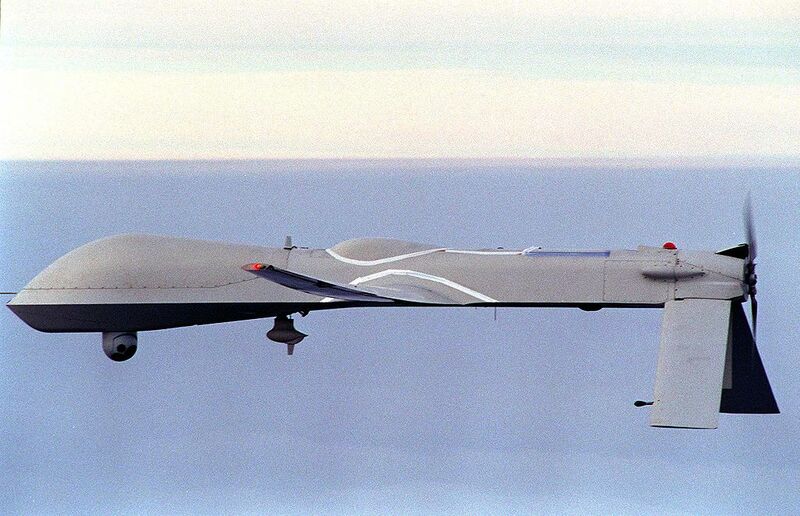 As noted earlier, The Air Force has recently decided to retire all their MQ-1 Predator UAVs replacing them with the MQ-9 Reaper. Perhaps we could get a near term interim capability and gain valuable experience by taking over some of the Air Force Predators and modifying them for a Maritime role.. This entry was posted in LR/ULE UAS, UAS, UAV by Chuck Hill. Bookmark the permalink.